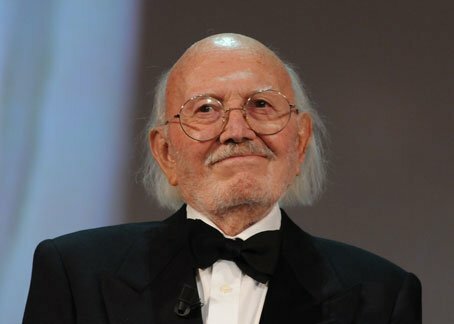 Italian composer Armando Trovajoli, who wrote the scores for around 300 films, has died aged 95. During a long career Armando Trovajoli worked with some of the world’s great jazz musicians, including Duke Ellington, Louis Armstrong and Miles Davis. Armando Trovajoli’s most famous song was a romantic serenade to Rome so popular with tourists that it was regarded as the city’s theme tune. Mayor Gianni Alemanno paid tribute to Armando Trovajoli as “the voice of Rome”. Armando Trovajoli’s death happened several days ago but has only just been announced by his widow Mariapaola. His many film credits included the soundtracks for Italian classics such as Two Women, starring Sophia Loren, Scent of a Woman and Bitter Rice. But it was his song Roma nun fa’ la stupida stasera – translated as “Rome don’t be stupid tonight” – that had most enduring popular success.